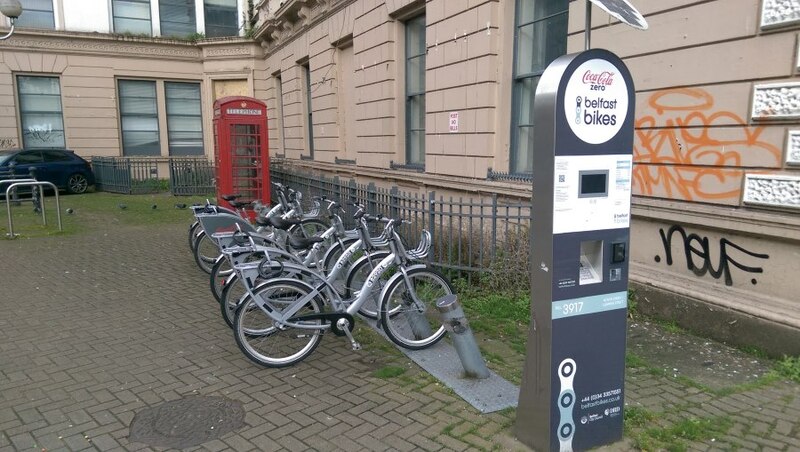 A review of the popular but embattled Coca-Cola Zero Belfast Bikes scheme will see a major shift to the south of the city at the expense of less popular city centre docks. 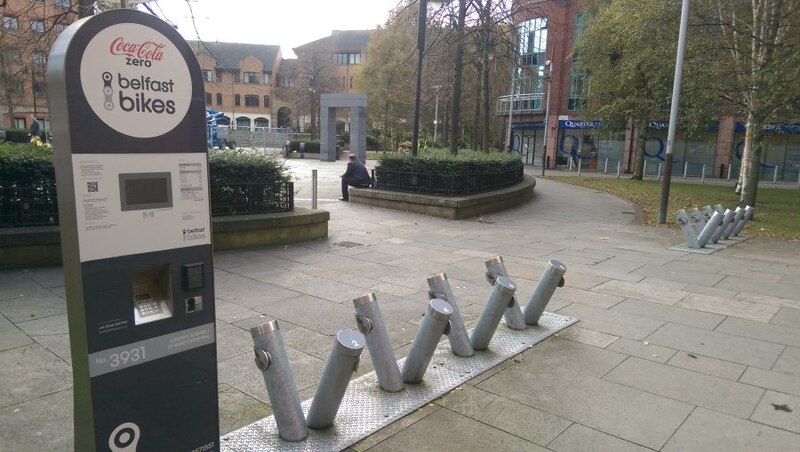 Five of the public hire bicycle docking stations will be removed from the existing scheme layout. The footprint of the Belfast Bikes system is concentrated in the centre of the city, which crucially lacks a major resident population. The move is aimed at generating more journeys and subscriptions from commuters. The first of the stations to be moved is East Bridge Street / Stewart Street, which will cease operation today. This docking point has attracted significant vandalism over the last 36 months, being forced out of operation even before the scheme launched in April 2015. The other new station in South Belfast will be at the Stranmillis Roundabout, right at the end of the on-road separated cycleway along the Lagan. 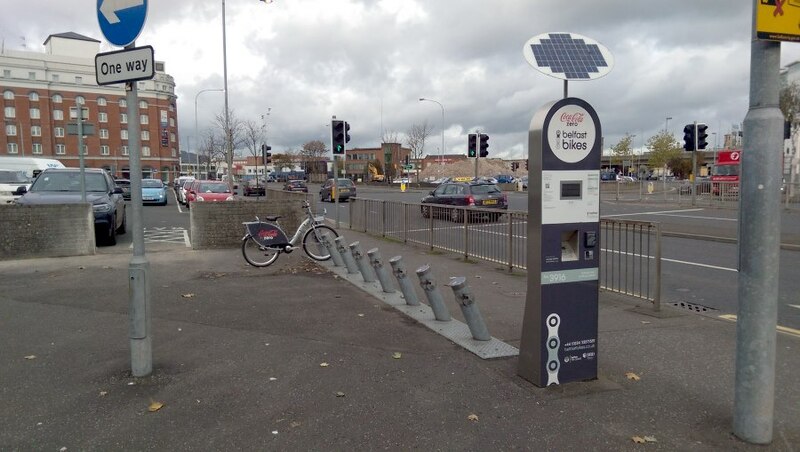 The fifth relocated station will be at Catalyst Inc. in the Titanic Quarter, extending the reach of the most popular branch of the scheme by user journeys. It caps an autumn of change for the Belfast Bikes scheme which has also moved its popular Arthur Street docking station due to building work. Bikefast welcomes this long-awaited and sensible move for Belfast Bikes into the heartland of cycling in Belfast. 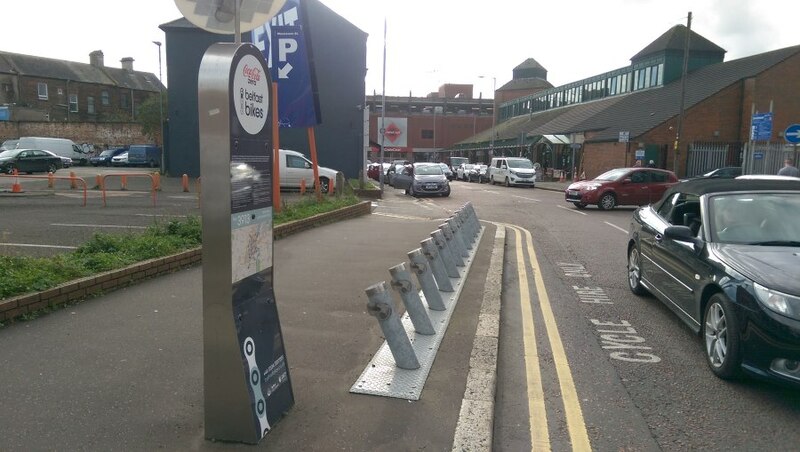 The vandalism issues and associated decay of service due to the loss of so many bikes have weakened the scheme. This should begin to set it on the path to greater numbers of subscribers and a new vein of commuter usage. This will present challenges to the operation team in terms of tidal rebalancing of bicycles to meet daily demand, but the CS Lewis Square extension will have provided excellent experience. Ormeau was always the natural choice for expansion as the highest concentration of cycling commuters is based in surrounding wards. This in part is founded upon the traffic-free routes along the Lagan corridor into the city centre. This is essentially a rebalancing exercise, and Belfast City Council will want to see many new subscribers coming on board from the Ormeau and Stranmillis areas. True expansion across the city, of brand new stations and rental bicycle numbers, many depend on the success of this move.